One week prior to the start of the Baseball World Cup manager Hirotami Kojima of was so kind to answer a few questions for www.ibaf.org. It is not the first international tournament for the 47-year-old from Tokyo. He played in the 1992 Olympics in Barcelona, winning the bronze medal. He is in charge of the Japanese National Team since the 2010 Asian Games. With Japan he will face host Panama, defending champion Team USA, Chinese Taipei, Canada, the Netherlands, Puerto Rico and Greece in Group 1 of the 2011 IBAF Baseball World Cup (October 1 to 15). IBAF: How did your Team qualify for the 2011 Baseball World Cup? Hirotami Kojima: We were among the top 3 at the 2009 Asian Championship in Japan, along with Korea and Chinese Taipei. IBAF: What selection process did you went through to complete the roster for the BWC? Hirotami Kojima: First, we selected 53 players from more than 100 candidates recommended by regional Industrial and University Leagues throughout Japan. We then held trials and, after consultation with our coaches, narrowed the number to 40 for PTR registration, and ended up the final roster of 24 players who are in top gears. IBAF: Any players missing due to injury or other obligations? Hirotami Kojima:Fortunately, there is none. IBAF: What are your expectations for the BWC? Which teams are favored in your group and to win it all? Hirotami Kojima: We play to be the World Champion at the BWC, which is the supreme event of IBAF. I truly hope that the success of the BWC in Panama this year will propel our drive to reinstate baseball in the Olympic games. The U.S. is aiming to win the Championship for 3 consecutive times and I think the host country, Panama, and the Netherland, the runners-up at 2010 Intercontinental Cup, are strong contenders in our group. IBAF: How important is the BWC in your country? Hirotami Kojima: It has special significance because the BWC is the only World Championship of senior category where non-professionals like us could be involved. Unlike M.L.B., the Japanese professional leagues have no multi-tiered farm system which in turn nurture strong amateur sides including our Industrial League. Our players therefore are highly motivated and are also mindful that our performance is geared to the funding in the coming years. IBAF: Will you hold a training camp in preparation of the BWC? Will you play any exhibition games and if yes, against which teams? Hirotami Kojima: We will hold a training camp and will play 4 exhibition games in total against Tokyo Yomiuri Giants, Yokohama Bay Stars and an industrial league team, East Japan Railways Co. before heading for Panama. IBAF: Could you introduce your coaching staff to us? 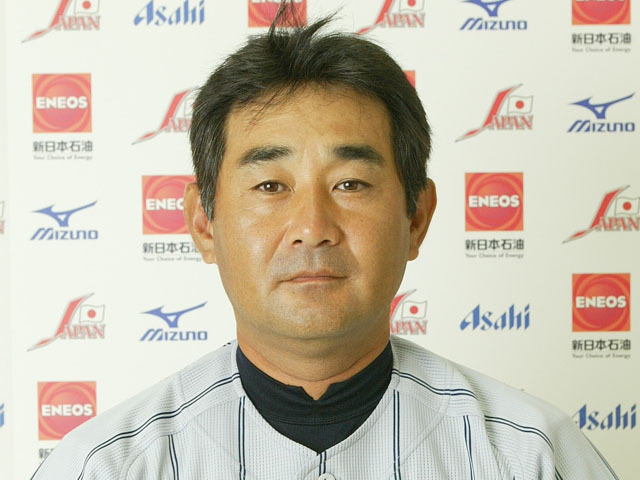 Hirotami Kojima: Kazutoyo Hayase, pitching coach, won the Inter-City Championship as manger of Nissay team and is a new comer to an international event. Masafumi Nishi, hitting and fielding coach, is an Olympian of Seoul and Barcelona and is a coach for Osaka Gas’s team. Shoich Nakajima, bull pen coach, was manger of Sumitomo Metal Industries and a coach at 2007 BWC and 2010 Asian Games.